By 12 Red & White Rose with Meltdown To Nationwide in Philippines. | Delivery Tiramisu Meltdown To Nationwide in Philippines. 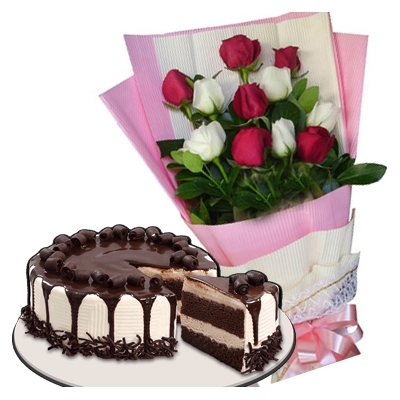 Description: 12 Red and White Rose with Tiramisu Meltdown By Red Ribbon.Tiramisu Meltdown Cake by Red Ribbon. 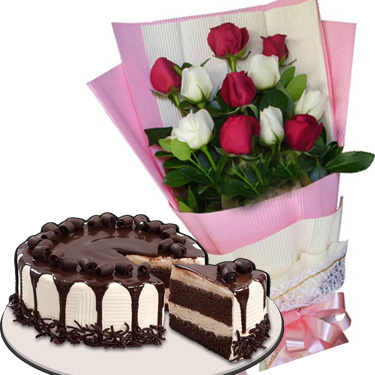 A heavenly three-layer cake of choco chiffon and cream cheese filling,dappled with a hint of coffee liquor.